You can rely on our expert knowledge of the California court system. When you need fast results, professional experience, and exceptional customer service you need Judy’s Roadrunners Attorney Service. You’ll appreciate that the services available to you from us don’t begin and end with court research. We also assist with court filing, eFiling, county recordings, process serving, skip tracing, and much more! 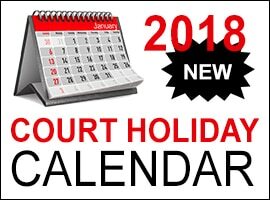 If you need help with court services then you need to give us a call.